Good range of first deposit and ongoing bonuses. Super-fast no download mobile casino option. Short timespan to clear bonuses. This BetOnline Casino review focuses only the casino-related action you can expect to find when you open an account with BetOnline. This is because, as well as an online casino and Live Dealer casino, BetOnline offers visitors the opportunity to bet on sports, horses, financials and e-Sports, and play online poker. It would be slightly overwhelming to include everything the site has to offer in one review. Furthermore, each element of BetOnline has its own bonuses and bonus structures. To avoid any confusion, our BetOnline Casino review focuses only on the bonuses you will find in the casino – not the frequently-advertised lifelong bonus guarantee nor mobile freeplay, as these only apply to deposits used for sports betting (which you will still be able to take advantage of once joining the casino). Even with everything but the casino-related action and casino-related bonuses removed from this review, there is still plenty to dig into. Are the bonuses worthwhile? Are the games good? How easy is it to get your money on and off the site? Where can I get help if I have a problem? All these questions and more will be answered in the course of this BetOnline Casino review. BetOnline Casino started life in 2001 as part of the online betting site BestLineSports.com. 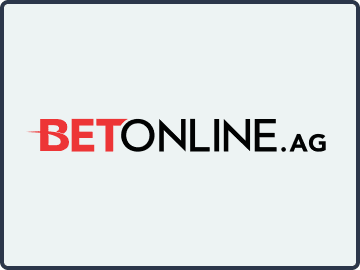 The site acquired the BetOnline domain name in 2006 after its previous owner closed its doors as a result of the Unlawful Internet Gaming Enforcement Act (UIGEA). Players´ accounts were transferred over to the new domain, and the site has grown substantially ever since. BetOnline´s success is attributable to many factors. The site continues to accept players from all over the world and was one of the first online casinos to facilitate deposits and withdrawals using the virtual currencies Bitcoin and Litecoin. Constantly upgrading its products, its software and its promotions, BetOnline has developed a reputation for innovation, integrity and fair play. BetOnline Casino offers a three-times-use first deposit bonus of a 100% match up to $1,000. In order to take advantage of this opportunity, simply make your first three deposits (minimum $25.00) using the BetOnline Casino bonus codes “CASINO1”, “CASINO2” and “CASINO3”. The bonuses will be applied automatically and the bonus funds credited to your account for you to use straightaway. The bonus and the amount of your initial deposit has to be rolled over forty times before it is possible to request a withdrawal. Although the rollover requirement is industry standard, you are only allowed thirty days in which to clear the BetOnline Casino bonus – after which any uncleared bonus is forfeited. It is also important to note than most non-slot games are excluded from the wagering requirements. Fortunately, BetOnline offers a frequently-changing program of reload bonuses – so the thirty-day clearing requirement is not as significant as it might be at other online casinos. Furthermore, some reload bonuses are genre-specific – i.e. while compiling this BetOnline Casino review, the site had a 100% reload bonus exclusively for video poker players – so you won´t be stuck playing slots all the time. Like all online casino promotions, it is important you read the terms and conditions of each promotion before depositing. Some have higher minimum deposits or different clearing requirements. It may also be necessary to email customer support after making you qualifying deposit to have the bonus applied. This is not because there is a fault in the programming – that´s just the way BetOnline works! The action at the BetOnline Casino is mostly powered by Betsoft software, although you will find some Rival Gaming software scattered throughout the site. There is more than 100 Betsoft slots to choose from, plus a good range of table games and – quite unusually for an online casino – player-v-player skill games that include Yahtzee, Dominoes and Gin Rummy. The Live Dealer casino is exceptionally good. Players have a choice of Live Dealer Roulette, Blackjack, Baccarat and Super 6, and although your action at the Live Dealer casino does not count towards clearing the BetOnline Casino bonus, the site hosts Roulette and Blackjack leaderboard competitions each week with $1,800 in cash prizes for the top three players in each. Depositing funds into your BetOnline account is fast, simple and secure, but watch out for the minimum and maximum limits on selected deposit methods and a few not-so-clear charges. For example, if you make a deposit into your account using a Visa or MasterCard credit card (minimum deposit $50), you will be charged a 6.5% administration fee on deposits under $300. With the exception of Bitcoin and Litecoin, all withdrawal methods have fees attached (i.e. Skrill $20, check $50, P2P transfer up to $101.) Players are allowed one free withdrawal each month but – again – check the minimum and maximum limits for each withdrawal method to manage your bankroll efficiently. There is no facility to withdraw to Visa or MasterCard. No online casino stays in business for more than fifteen years without providing decent customer support, and BetOnline´s customer support is fairly decent – although it does take a while for the phone to get answered during peak times. As a rule, the support team is knowledgeable, friendly and efficient, and has a good understanding of the bonus terms to quickly resolve any issues players may have. BetOnline does not have a casino loyalty program. Instead it offers players the opportunity to recover up to $10,000 each month by way of a 20% rebate on losses. The BetOnline Casino rebate is paid as a slots-exclusive bonus that has a 30x clearance requirement but, in order to claim the bonus, you have to email customer support with two days of the month end. There is a minimum rebate limit of $100. High Rollers can also claim up to $200 in free spins each month subject to their previous month´s action (not loss) exceeding $75,000. Like the rebate program, there are exclusions to what is counted towards the total staked/lost. For example, action at the Live Dealer tables do not count towards the rebate amount or free spins you may be entitled to. Good range of games played on quality software. The opportunity to bets on sports and play online poker. The Live Dealer casino and unusual selection of skill games. No opportunity to test out the games in play mode. The fees and minimum/maximum limits on deposits. The number of games excluded from gambling requirements. There are some things that players will love about the BetOnline Casino, there will be other things that they hate. If you particularly like Betsoft slots games, this is a good place to play. If you don´t, it is worth having an account with BetOnline for when bonuses come along that are not slots-exclusive, as these are much better and easier to clear than non-slots bonuses offered at other online casinos. There are some good casino tournaments and plenty of promotions running throughout the other elements of the site that make joining BetOnline worthwhile. Some players might only want to use the casino from time-to-time when it is in their advantage to do so and, if you fall into this category, you should probably limit the value of your first deposit because of the thirty-day clearing rule.